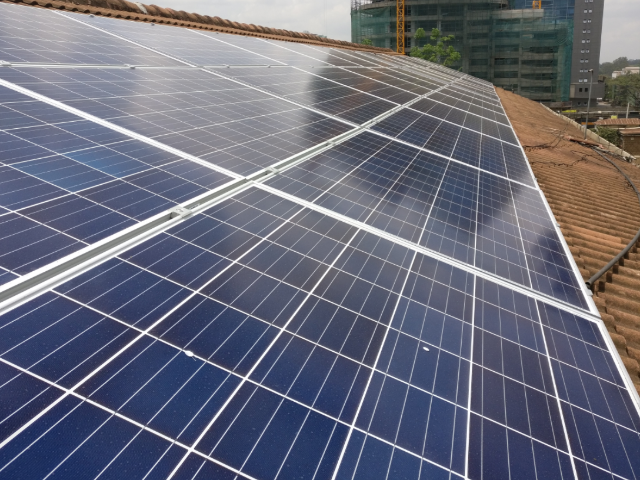 Greenpark has supplied, installed and commissioned a 23 kWp solar system for an office complex in Westlands, Nairobi. The modules have been mounted on a tiled roof with aluminium/stainless steel mounting structure. The client is expected to reduce 10 % of their annual energy purchase from the electricity grid. Payback time is expected to be less than 5 years.